Tracker Software Products :: Knowledge Base :: Why can't I use Gmail in the Send-by-Email feature of PDF-XChange Editor? 2. Click the account icon at the top-right of the page, then click My Account. 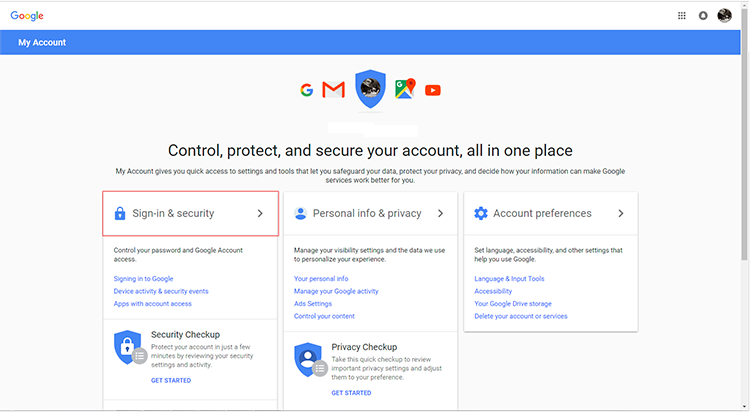 The My Account section of your gmail account will open. 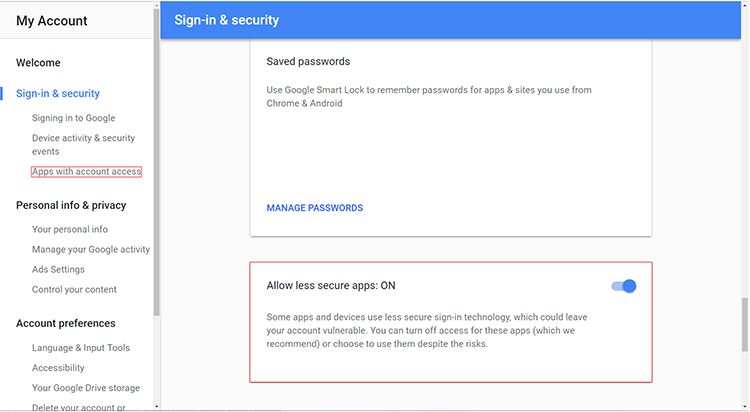 The Sign in & Security section of your gmail account will open. It will then be possible to use Gmail in the Send-by-Email feature of PDF-XChange Editor. Please note that allowing less secure apps to access your account may make your account vulnerable, although the risk is small. Tracker Software does not accept any responsibility for issues that arise as a result of changing this setting. KB#269: Who owns the PDF format?